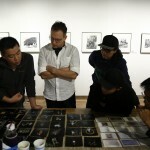 Southern Documentary Project Producer / Director John Rash has just returned from a week of cultural exchanges and discussions as an invited presenter and teacher at Photo Beijing, the largest annual celebration of international photography in Beijing, China. 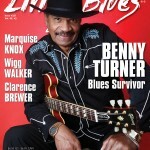 Living Blues #251 (October/November 2017) features bass player Benny Turner on the cover. Turner is the brother of Freddie King and has spent a lifetime backing some of the best in the blues. 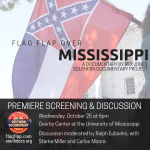 The Southern Documentary Project, an institute of the Center for the Study of Southern Culture at the University of Mississippi, has a new documentary film titled Flag Flap Over Mississippi by director Rex Jones that explores tensions around the divisive Mississippi state flag. There will be a premiere screening and discussion of the film at 6pm on Wednesday, October 25 at the Overby Center for Journalism and Politics on the UM campus. A discussion of the film will follow, with UM professor Ralph Eubanks moderating a discussion with Starke Miller and Carlos Moore, who appear in the film. The screening and discussion are free and open to the public. 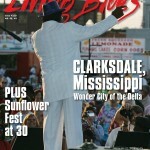 The August/September #250 issue of Living Blues celebrates the blues of Clarksdale, Mississippi and the 30th anniversary of the Sunflower River Blues & Gospel Festival. 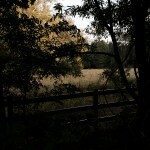 The Center will host a Brown Bag screening of An Outrage, a documentary film about lynching in the American South at noon on Thursday, October 19 in Barnard Observatory. Filmmakers Hannah Ayers and Lance Warren will introduce the film and take questions. 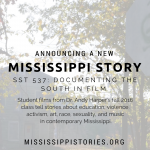 They will also attend Dr. Andy Harper’s Documenting the South in Film class following the screening.